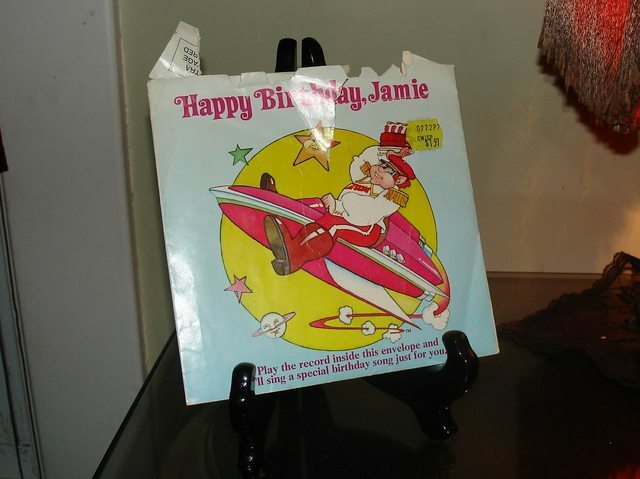 Now playing - Happy Birthday Jamie! by Captain Zoom of Space Command. I've played this personalized flexi every year since I was 2. "A space odyssey in the beat of today - with the far out sounds of tomorrow's uncharted trip beyond the now generation." This album would complement listening to Jandek at night, I love it. Last edited by Overcast; 06-24-2016 at 01:53 PM. This album would compliment listening to Jandek at night, I love it. The rest of his discography is just as rewarding. He's such a thoughtful player, it's refreshing in the free improv world. I look up this guy on RYM, and the album falls under Onkyo, a Japanese subgenre of... lowercase. I'd like to by a better genre name, Pat? But I agree, Frown. This guy's very refreshing. I don't normally like music this slow, but he does it well.